After work today, I took the long way home. 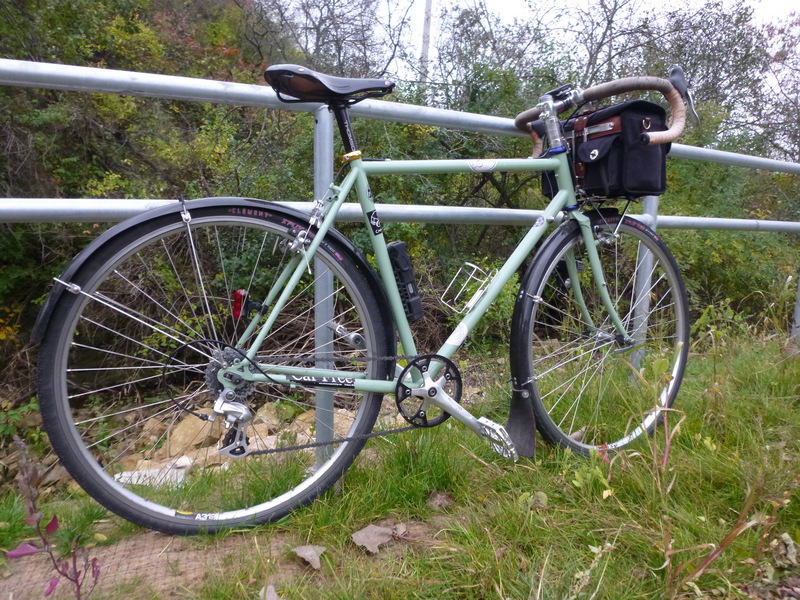 When stopped to clear some leaves (of which there are many right now) from the cassette so that I could shift into the smaller cogs, I discovered that the Devil now wants to be a Rivendell, complete with a second top tube. 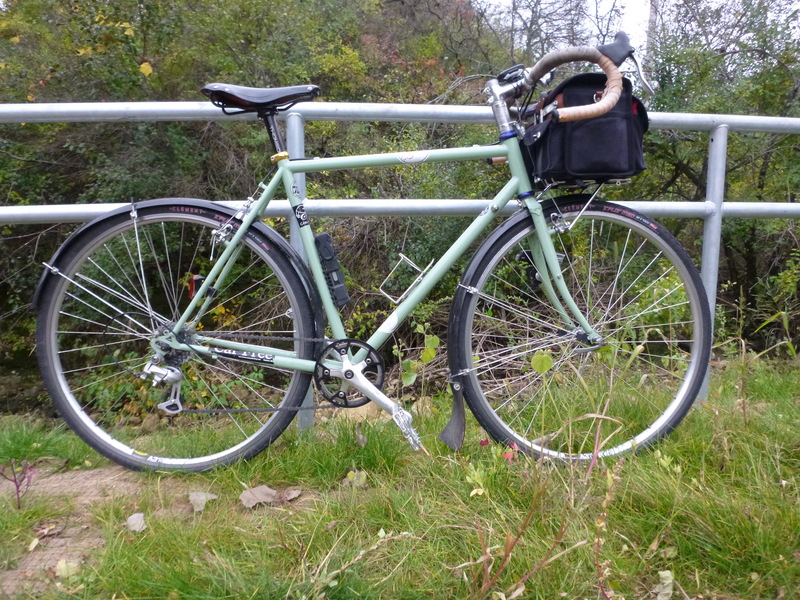 Perhaps if I sell off a couple more bikes, I’ll add a Rivendell as a companion for the Devil. Until then, it’s just going to have to pretend. 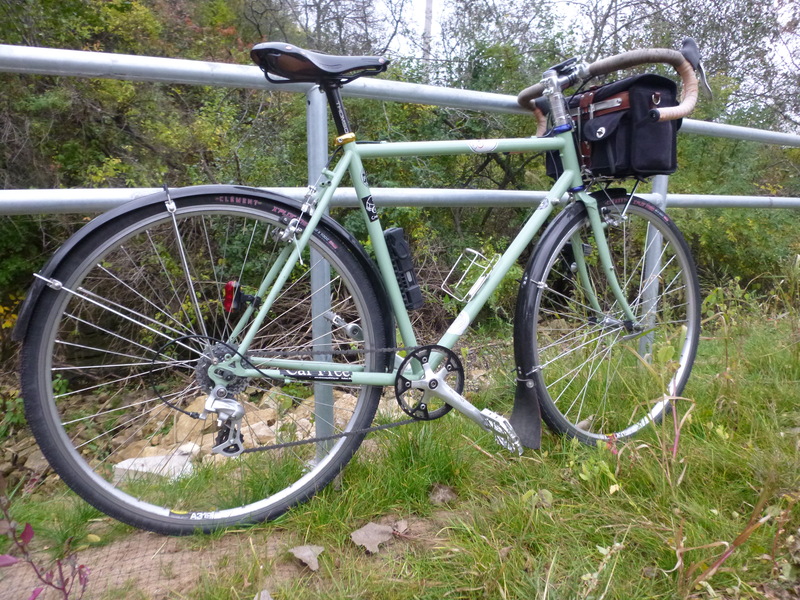 And even then, I’m short enough that I probably won’t end up with a frame that has a second top-tube anyway. But what happens when Riv moves to the TTT (triple top tube)?